While you care for your patients, we focus on your practice’s financial fitness. There is no need to reinvent the wheel. Because we are well-versed in the veterinary industry, our key business strategists recognize where you are in your journey and are able to add immediate value to your veterinary practice’s health. We know the major vendors, understand the applicable cutting-edge software, state-of-the-art equipment, and macro-economic trends. Our partnership with you enhances your business strategy, operations, finance, and entrepreneurial ideas. Our commitment to manage and grow your veterinary practice is matched only by your dedication to the health and well being of those in your care. Starting a veterinary practice is no small feat. Rely on professionals who have supported many businesses through the process. We deliver results rather than recommendations and are well versed in the unique requirements of the establishment of a new practice. Creating strong management processes and empowering your employees ensures that your practice thrives as consistently and thoroughly as the health of your patients. Adding to your practice by acquiring existing locations requires addressing a unique set of clinical, financial, and regulatory issues. Our business analysts work hand-in-hand with you to consider the complete picture and guide you through the transaction lifecycle, from initial screening and viability through integration with your existing operation. We work with you to identify key drivers and risks of any new acquisition so that you are comfortable the investment is sound. Our experienced team focuses on your desire to grow your infrastructure in a focused and comprehensive way. Deep industry knowledge allows us to target specific areas of your practice that can operate more efficiently and provide greater performance. We review your current business model and nuances of your geographic location to build solutions that position you for healthy growth, refined strategy, forecasts, and budget, and accurate measurements of future success. As important as it is to plan for your practice establishment and growth, so is it necessary to intentionally position yourself for the timely transition out of your current career. Any valid retirement or transition plan should include professionals who know the market for your specific type of business transactions. We analyze and provide a fair estimate of your practice’s worth based on our vast experience with similar scenarios. We also work with you to define the value gap: that difference between the current worth of your business and the investment funds needed to retire and live the lifestyle you desire. Our team of experienced professionals guide you in identifying and managing key operational tasks essential to the health of your business. Growth and marketing, including designing a business growth plan with attainable goals, evaluating new services by understanding costs and benefits, and discussing whether mergers or acquisitions are warranted and advisable. Treatment protocols, such as a definition of each team member’s responsibilities and role training for specific scenarios so that you know your team’s strengths and weaknesses and can make corrections when necessary. Operations, as part of your goal to maximize your financial health, we will review and discuss practice specialization and allocation of resources to ensure that your goals are met efficiently and profitably. Entity tax planning for shareholders and members, including formation, operations, financing. Compensation planning, including design and administration of pension, profit sharing, and fringe benefits. Planning for LLCs, limited partnerships, and disregarded entities (Single Member LLC), including structuring allocations, distributions, capital and profit interests. A view of your entire financial landscape and a secure roadmap for growth and prosperity. Integration with your practice’s management software, in one easily accessible portal. The presentation of data evenly across all practice stakeholders, since sharing of data in multi-owner practices is critical to enhancing market penetration and growth initiatives. 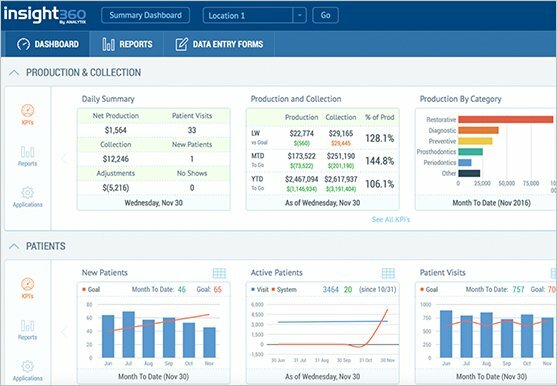 Data to guide your growth strategy, including practice production data, collection and expense statistics, and KPI data, all in real-time. No more struggling to make sense of performance data from multiple sources. Automated data accumulation and aggregation, eliminating the need for Excel spreadsheets and resulting in greater data accuracy. To find out more about Xero, contact us now or request a free 30-day trial. Scalable solutions and financial services based on the unique needs of your veterinary practice. 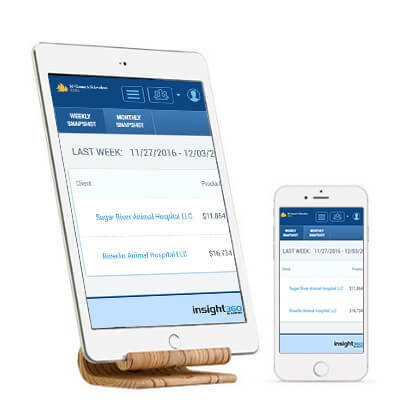 Whether you run a single office or manage multiple veterinary practice locations, Insight 360 provides key observation into both operational and financial performance indicators. As a top-level strategic tool for owners and a management barometer for practice managers, Insight 360 allows stakeholders, CPAs, and consultants access to the same information, thus guiding the practice to greater success.